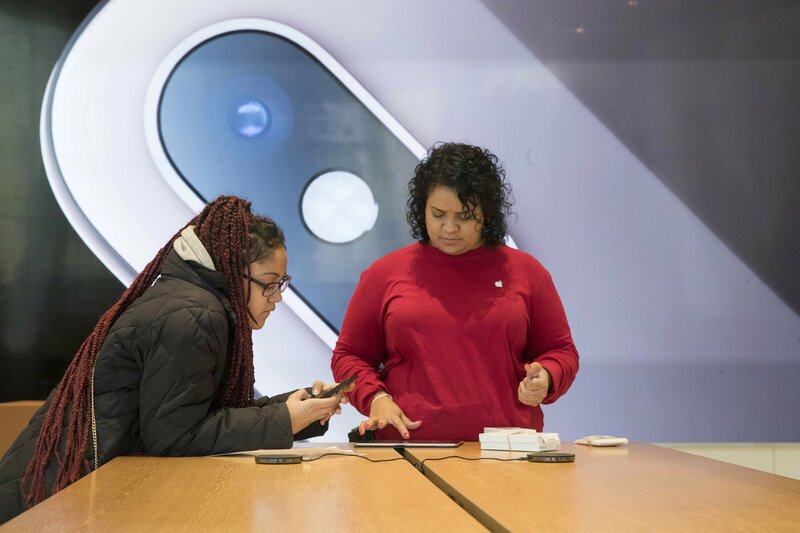 NEW YORK — Behind Apple’s disconcerting news of weak iPhone sales lies a more sobering truth: The tech industry has hit Peak Smartphone, a tipping point when everyone who can afford one already owns one and no breakthroughs are compelling them to upgrade as frequently as they once did. Some manufacturers have boosted prices to keep up profit. But Apple’s shortfall highlights the limits of that strategy. The company said demand for iPhones is waning and revenue for the last quarter of 2018 will fall well below projections, a decrease traced mainly to China. Apple Inc.’s $1,000 iPhone is a tough sell to Chinese consumers unnerved by an economic slump and the trade war with the U.S. They also have a slew of cheaper smartphones from homegrown competitors such as Huawei, Xiaomi and Oppo to choose from. Apple’s shares dropped 9 percent Thursday on the sales slump forecast as the company lost about $71 billion in market value. The news also reinforced investors’ fears that the world’s second-biggest economy is losing steam: The Dow Jones Industrial Average was down more than 550 points at midafternoon and the broader S&P 500 index was down 2 percent. Apple customers now upgrade every 33 months on average, longer than the 24 or 25 months three years ago, Ives said. It doesn’t help that top phones come with four-digit price tags — such as $1,100 for the iPhone XS Max and $1,000 for Samsung’a Galaxy Note 9. The top-end Max model sells for $1,450 in the U.S.